Each year, from September 15 to October 15, National Hispanic Heritage Month offers all Americans the opportunity to celebrate the histories, cultures and contributions of Latinos in the U.S. These dates were not chosen randomly; September 15 is the anniversary of independence for Costa Rica, El Salvador, Guatemala, Honduras and Nicaragua. Mexico and Chile celebrate their independence days on September 16 and September 18 respectively, and Columbus Day or El Día de la Raza, helps to close the festivities on October 12, as we celebrate Latinos with parades and events held throughout the country. I can think of no better way to share our culture than through books! Here are some of my personal favorites to share Latino achievements with our children and their friends, teachers and caregivers. I hope that you will make them part of your own library! 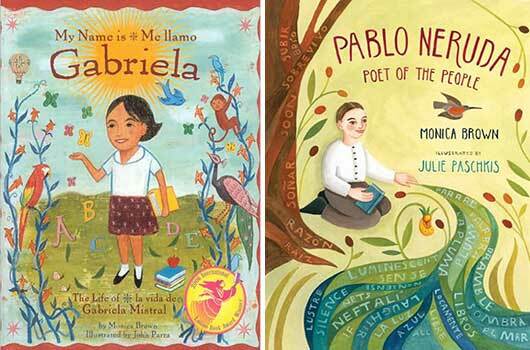 Monica Brown’s Bilingual Biographies Over the years, Monica Brown has made a name for herself as the premier bilingual picture book biographer for kids, by writing engaging books that entertain as they teach—in English and Spanish! Her subjects hail from different countries in Latin America and the US, and include Nobel Prize winning authors Gabriela Mistral (My Name is Gabriela/Me llamo Gabriela, Luna Rising), Gabriel García Márquez (My Name is Gabito/Me llamo Gabito, Rising Moon) and Pablo Neruda (Pablo Neruda: Poet of the People, Holt—note that this title is available in English only), soccer legend Pelé (Pelé, King of Soccer/Pelé, el rey del fútbol, Rayo), and Latinos who made a significant impact on US culture and society, such as Tito Puente (Tito Puente, Mambo King/Tito Puente, Rey del Mambo, Rayo), Celia Cruz (My Name is Celia/Me llamo Celia, Rising Moon), and César Chávez and Dolores Huerta (Side by Side/Lado a Lado, Rayo). 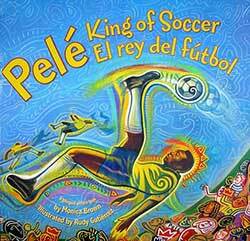 You simply can’t go wrong if you pick up one of Brown’s picture book biographies to celebrate Latinos with your child! Diego Rivera: An Artist for the People There have been a number of very good Diego Rivera biographies published over the years. What I love about this most recent effort by Susan Goldman Rubin is that it includes wonderful color images of the artist’s murals as well as archival photos of Rivera at work to give a real sense of time and place to slightly older readers. The book’s focus on the artist’s deep desire to bring attention to the culture and struggles of the Mexican working class only adds to its value. A perfect teaching tool for educators and parents looking to encourage children to make a difference in their world. Before We Were Free Before Junot Díaz, there was Julia Alvarez, who, like Junot, did not shy away from exposing the terrors of the Trujillo regime. 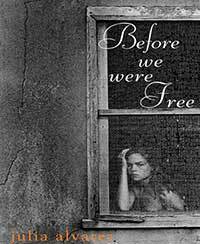 Before We Were Free is Álvarez’s offering to the millions of children unfortunate enough to have lived through the various military regimes that overtook many parts of Latin America, and in many cases, pushed them to come to the United States. In this novel, Álvarez—who with her family fled the Dominican Republic at age ten—imagines what it would have been like to live under the shadow of an oppressive, all-knowing dictator who may be aware of her and her family’s every move. A compelling read for children who want to know more about their families’ countries of origin that may also ring familiar to some parents and grandparents. 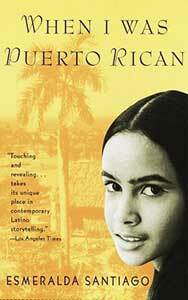 When I Was Puerto Rican Like Cisneros’ The House on Mango Street below, Esmeralda Santiago’s lyrical coming of age memoir is now required reading in many high schools and colleges. The book traces the author’s personal history from poverty-stricken rural Puerto Rico, to her jarring move to New York, and eventual admission into Harvard University. This is the quintessential “American Dream” story, told from a very real Latina, and especially Puerto Rican, perspective. 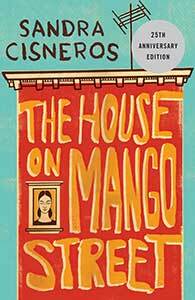 The House on Mango Street If you know Junot Díaz, you must know Sandra Cisneros, as Díaz has repeatedly said (as have many, many author Latino authors), that his work may not exist without Cisneros’, and this groundbreaking novel. The House on Mango Street is one of the first books written by a Latino author to become an integral part of mainstream American literature. It is a modern classic that should be in every Latina’s library—enough said!